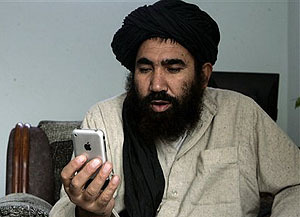 The Taliban’s account was pulled last week when a blogger noticed the connection and called attention to it. But the odd pairing of violently anti-American extremists and U.S. technology companies continues elsewhere and appears to be growing. Intelligence officials and private experts cite dozens of instances in which Islamist militants sought out U.S. Internet firms — known for their reliable service and easy terms that allow virtual anonymity — and used them to incite attacks on Americans. “The relatively cheap expense and high quality of U.S. servers seems to attract jihadists,” said Rita Katz, co-founder of the Site Intelligence Group, a private company that monitors the communications of Muslim extremist groups. Even al-Qaeda has sometimes paid American companies to serve as conduits for its hate-filled messages, said Katz, who has tracked such activity since 2003. We may be infidels, but at least we’re technically adept infidels.